This case study investigates the effects of assessments on writing discourse in a mixed classroom of English language learner (ELLs) and English only (EOs) students in rural classrooms in Indiana. The number of ELLs has increased significantly in many parts of rural Indiana over the past two decades. This same population is held accountable by high-stakes tests which are used to show student academic growth and maintain school rankings. Teachers of ELLs strive to find a balance between meeting the needs of their ELL students and high-stakes tests simultaneously. This article explores the effects of assessments on how teachers approach teaching their ELLs, what considerations are made, and how classroom approaches change in light of assessments. Excerpts from interviews with teachers highlight the struggles of classroom teachers, problematizing current trends in teaching ELLs and suggest possible action steps to be taken at the local level. Ayres, J., Waldorf, B., & McKendree, M. (2012). Defining rural Indiana—The first step. (EC-766-W). Retrieved from http://www.extension.purdue.edu/extmedia/EC/EC-766-W.pdf. Batalova, J., & McHugh, M. (2010). Number and growth of students in US schools in need of English instruction. Washington, DC: Migration Policy Institute. Berube, B. (2000). Managing ESL Programs in Rural and Small Urban Schools: Alexandria, VA: TESOL. Brisk, M. E. (2015). Engaging students in academic literacies: Genre-based pedagogy for K-5 classrooms. New York, NY: Routledge. Calkins, L. M. (1996). The art of teaching writing. Portsmouth, NH: Heinemann. Fillmore, L. W., Snow, C. E., & Educational Resources Information Center (2000). What teachers need to know about language. [Washington, DC]: U.S. Dept. of Education, Office of Educational Research and Improvement, Educational Resources Information Center. Flynn, K., & Hill, J. (2005). English language learners: A growing population. Policy Brief: Mid-Continent Research for Education and Learning, 1-12. Gibbons, P. (2006). Bridging discourses in the ESL classroom: Students, teachers and researchers. London, UK: Continuum. Gottlieb, M., Cranley, E. M., & Cammilleri, A. (2010). English language proficiency standards and resource guide: Prekindergarten through grade 12. Madison, WI: Board of Regents of the University of Wisconsin System. Hammersley, M., & Atkinson, P. (2007). Ethnography: Principles in practice. New York, NY: Routledge. Heath, S. B. (1983). Ways with words: Language, life and work in communities and classrooms. New York, NY: Cambridge University Press. Huang, G. G. (1999). Sociodemographic changes: Promise and problems for rural education: Charleston, WV: ERIC Clearinghouse on Rural Education and Small Schools. ERIC Document Reproduction Service No. ED 425 048. 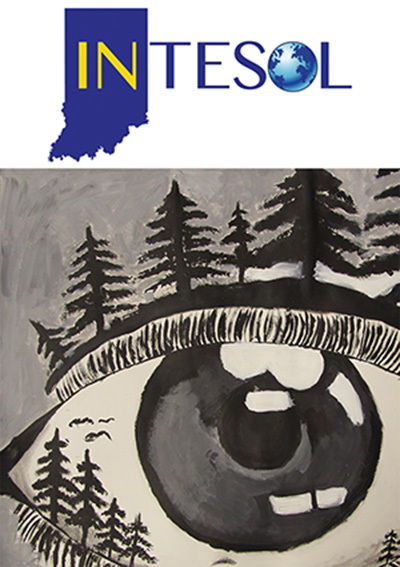 ISTEP+ Grades 3-8, 10. (2017, August 31). Retrieved from www.doe.in.gov/assessment/istep-grades-3-8-10. Kindler, A. L. (2002). Survey of the states’ limited English proficient students and available educational programs and services: 2000–2001 summary report. Washington, DC: National Clearinghouse for English Language Acquisition, 8. Larsen, D. (2014). L2 Writing in elementary school: Challenges for teachers and learners. Paper presented at 48th Annual TESOL Convention in Portland, OR. Magrath, C., Ackerman, A., Branch, T., Clinton Bristow, J., Shade, L., & Elliott, J. (2003). The neglected “R”: The need for a writing revolution. The National Commission on Writing. New York, NY: College Entrance Examination Board. Menken, K., & Antunez, B. (2001). An Overview of the preparation and certification of teachers working with limited English proficient (LEP) students. Washington, DC: National Clearinghouse for Bilingual Education. Merriam, S. B. (1997). Qualitative research and case study applications in education: Revised and expanded from case study research in education. San Francisco: Jossey-Bass. Miles, M. B., & Huberman, A. M. (1994). Qualitative data analysis: An expanded sourcebook. London, UK: Sage. Morita-Mullaney, T., Gilmetdinova, A., & Klassen, M., (2014). The (in)flexibility of the NCLB waivers for ELs in rural schools: Indiana administrators in focus. Presentation at INTESOL, November 15, 2014 in Indianapolis, IN. National Clearinghouse for English Language Acquisition, (2007). The growing numbers of limited English proficient students. Ravitch, D. (2011). The death and life of the American school system: How testing and choice are undermining education. New York, NY: Basic Books. Schleppegrell, M. J. (2004). The language of schooling: A functional linguistics perspective. Mahwah, NJ: Lawrence Erlbaum. Spandel, V. (2005). Creating writers: through 6-trait writing assessment and instruction. Boston, MA: Pearson. Tanenbaum, C., Boyle, A., Soga, K., Le Floch, K. C., Golden, L., Petroccia, M., . . . O'Day, J. (2012). National Evaluation of Title III Implementation: Report on State and Local Implementation. Office of Planning, Evaluation and Policy Development, US Department of Education. U.S. Census Bureau. (2010). American FactFinder - Results: Cass County, IN. Retrieved January 25, 2015, from http://factfinder.census.gov/faces/tableservices/jsf/pages/productview.xhtml?src=CF . Valdés, G., & Castellón, M. (2011). English language learners in American schools. In T. Lucas (Ed. ), Teacher preparation for linguistically diverse classrooms: A resource for teacher educators (pp. 18 - 34). New York, NY: Routledge. Waldorf, B., Ayres, J., & McKendree, M. (2013). Population trends in rural Indiana. (ED-767-W). Retrieved from https://www.extension.purdue.edu/extmedia/EC/EC-767-W.pdf. Yin, R. K. (2009). Case study research: Design and methods. Los Angeles, CA: Sage. Yoesel, M. R. W. (2010). Mainstreamed English language instruction in a low-incidence rural school district: a case study. University of Missouri--Columbia. Zacher Pandya, J. (2011). Overtested: How high-stakes accountability fails English language learners. New York, NY: Teachers College Press. Zeichner, K. M. (2009). Teacher education and the struggle for social justice. New York, NY: Routledge. Zhang, S. S. V. (2013). Learning to teach English-language learners in mainstreamed secondary classrooms. Teacher Education and Practice, 26(1), 99-116.